While merchants realize that getting access to the payment gateway is essential if they want to process credit card payments online, they often fall victims to popular myths associated with online gateway. Before we address these misconceptions, let’s see what a payment gateway is and why you need one for your business. Payment gateways are the software used by the merchants as third parties that authorize and process credit card transactions. Essentially, when businesses capture customer credit card information, they send it to the payment gateway. The information is then forwarded to the acquiring banks, then finally to the credit card company. The issuing credit company informs the vendor whether credit is available and if so, the transaction goes through. Payment gateway ensures that the frontend interface payment and the back-end payment process allow the credit card processing to work seamlessly. They bring the customer, merchant, and financial provider a fast payment event. There are numerous payment getaways in the market. Sure thing it takes time to research and find the right one. To prevent you from choosing the wrong payment gateway provider to process your business transaction, we’ve listed the misconceptions that might be misleading. Forewarned is forearmed. So, here are the myths we want to debunk, so you can better understand what you are dealing with and how to go about things. Usually, the fees are different. Moreover, you will find that most companies charge more for credit cards than debit cards, regardless of whether customers use a PIN. Based on several factors, risk included, the fees processors pay for debit cards is lower, and this leads to lower rates for debit cards in most businesses. This is one of the most popular misconceptions about the payment gateways. And it is absolutely not true. 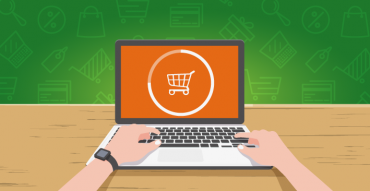 When customers place their orders on the merchants’ website, the payment gateway usually gathers and stores the data securely. Then they process and forward that request to the bank which in its turn transfers the encrypted information to the issuing bank for the approval purposes. As soon as the bank confirms the payment, the information is backtracked. The merchant immediately informs the client that the order has been approved. All this takes place in a matter of seconds and at no point does this payment option interact with the money. This is among the many misconceptions about the payment gateways. However, even though what banks do is facilitation of online payment processes, payment gateways are neither positioned as banks nor offer banking services. Generally, a payment gateway is an interface between the merchant and the processing bank. At times, you might find that the gateway is under the acquiring bank. However, this doesn’t alter their role. Payment gateways aim to protect merchants from potential financial fraudulent activities or any payment data leaks. This means that they are responsible for verifying the security standards of the merchants. Moreover, they encrypt customer’s sensitive data. They do this to ensure that all the information is safe inside the system along the way. Of all the payment gateway misconceptions, this is over the top because nothing can be further from the truth. 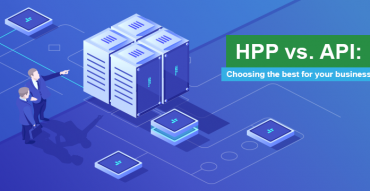 Payment gateways do all offer transaction processing, but while some of them might offer a terminal set up processing, for instance, most of them choose not to. Different merchants have different limitations on cash advance, loan capabilities, loyalty programs, gift cards, e-commerce solutions, and other services. Try to locate a merchant that offers the services your business needs. One of the myths associated with the online gateway and one that most people fear is that once they sign the contract, they are locked in. While it may not be that easy, most gateway providers are willing to negotiate with each other in case a client in the contract is looking to switch. You might find a payment gateway that wants to buy out your contract. While low processing rates sound like a good deal, there are many other factors to consider. The rate should never be your determining factor because it may be low but you could get bad customer services, crappy hardware and software, incompatibility, and longer waiting times for the funds processing. Besides that, different companies offer different rates. Some come with flat rates, regardless of the number of transactions, while others offer discounted rates. Look at the whole picture the company represents before you settle on a certain rate. If you want to accept credit card payments in your business, payment gateways are not the only solution. You can opt for PayPal or Square. However, these are manageable if you have low volume or infrequent processing. These are called third-party processors, and the best part is that they don’t charge monthly fees. 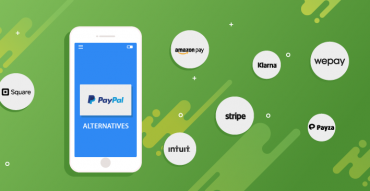 However, if you need to process more often or offer automated recurring billing, then payment gateways are the best choice. There are always people trying to take advantage of others in all kinds of businesses. However, not all payment gateways are crooks. And most of them are very professional. Of course, you should look them up at sites like Better Business Bureau, Merchant Maverick, or B Corporation to ensure it’s safe to collaborate with them. While it might be a great idea to take advantage of the local banking services, local banks do not necessarily offer the best rates. Always shop around to check out the best package deal you can get. Sure thing, if you can get it at your local bank, then by all means go for it. Bigger is not always better. You might find smaller firms offering better pricing and better than that, you need to ensure that customer and support services are professional. Work with a firm that considers you a customer, and not just another number in their files. If you perform a cost-benefit analysis, you will find that this is not necessarily true. The reason being that most customers and donors prefer to use credit cards and your business will experience an increase in sales when you offer these services. This is usually a very deceptive selling point. But when a company quotes you bone rate, you need to ask about the non-qualifying rate. Chances will be it’ll be higher than what you were quoted, and transactions will be charged higher as well. The payment pricing is known as tiered pricing. It might not be beneficial to you. Most banks do offer these services, but there are other independent companies that provide payment gateway services. This means that you can browse, check out different providers, and pick the one that suits you and your business best. The good news is that such payment gateway providers are often more flexible than banking institutions. So, don’t hesitate to find out all your options before settling down. Payment gateways are complicated financial interfaces that perform very important tasks. You should consider your options very well before picking the right one. Go over our recommendations to make a wise and informed decision. Do you charge the integration fee, monthly fee and rolling reserve ? which are these ?